The Simpsons have always proven that they are the best animated family to grace our TV screens. It's largely because they feature popular trends be it showbiz or current news and even new gadgets. 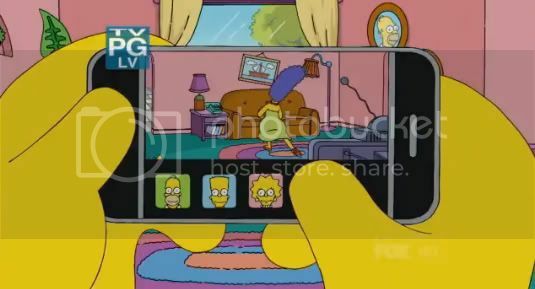 Each Simpson episode starts of with their opening theme followed by a couch gag, this time Homer shows us that he's also an Apple Fanboy. Check the break for the full video clip. I wonder if he'll end up having an iPad in one of the future episodes? I think Lisa should have an iPad. Which Simpson character do you think should have an iPad?